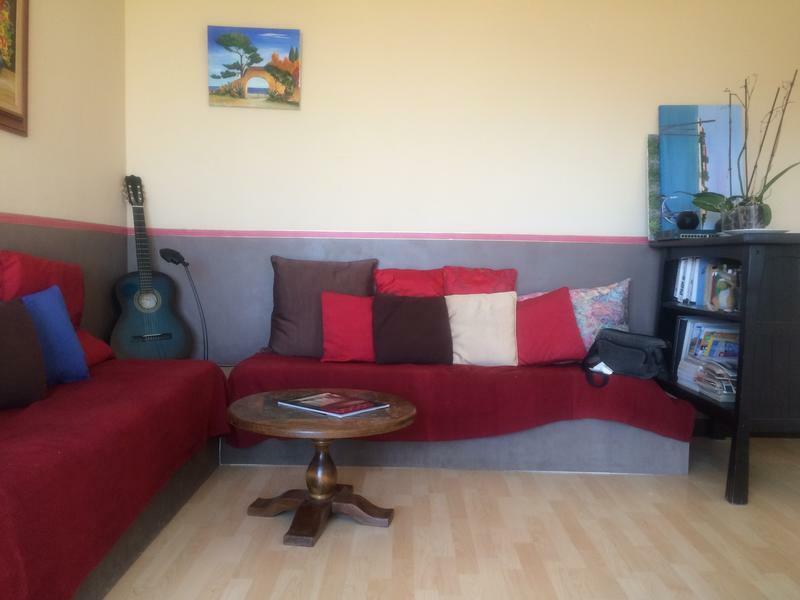 Close to Marseille city centre between sea and mountains, this apartment is located in a very quiet area. A small park will allow you to walk safely. With a lovely views without no opposite buildings , you can enjoy the beautiful view over the hills of Allauch made ​​famous by our Marcel Pagnol. Renovated in a modern style and design while keeping the charm of the old, it is fully equipped . It consists of two bedrooms, a kitchen open to living / dining room, bathroom , separate WC . Can accommodate up to 6 people available to help you make the most of the frame and the surrounding tranquility. Consists of an entrance with many storage, two spacious bedrooms and modern design. The modern bathroom invite you to relax. The fully equipped kitchen will allow you to express all your culinary talents and you can enjoy your mixture into a large living room with a magnificent view of the hills.